Have you ever dreamed about writing your own book? Learn how to make your dream a reality by joining us this Monday, March 12th at 7:00 P.M. in RPL 300B for a special presentation about the writing and publishing process from Brandi Collins, author of the recently published book, Caroline’s Lighthouse. Brandi will discuss her inspiration for writing, her path to independent publishing, and her current and future projects. A question and answer session will follow the presentation. This event, sponsored by the Ross Pendergraft Library, is the latest in our “Second Monday” local author series where we invite authors from Tech to share their books with the community. All of these events are free and open to the public. Caroline’s Lighthouse, published by Archway Publishing from Simon & Schuster, is a mystery/thriller novel centered on a young woman who has inherited a Virginia lighthouse—the sight of a century-old lovers’ suicide and rumored to be the most haunted place in town. Aside from being a published author, Brandi Collins is also the licensing, branding, and editorial manager in the University Relations department at Arkansas Tech. 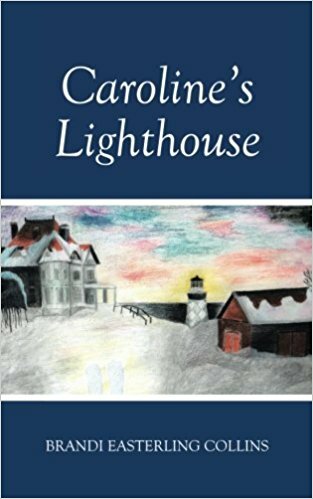 Caroline’s Lighthouse is her first novel. For more information about the event or the Second Monday series, contact Luke Heffley at 479-964-0569 or lheffley@atu.edu.